Delivers greatest accuracy and easiest process adjustments of automated molds. Servo axis control functionality that can be combined with up to 256 zones of temperature control. Control up to 8 interchangeable linear or rotary servo axis and integrate up to 256 M2 temperature control zones. Ultimate precision, control and repeatability delivering consistent and reliable process results. 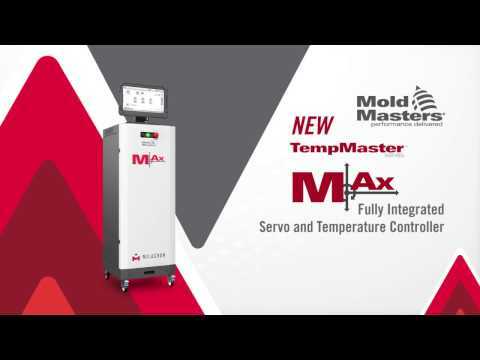 Centralized control with easy to use and intuitive servo and temperature control. Each M-Ax servo can be switched between linear or rotary axis movements for maximum flexibility. 16 to 64 user defined I/O for complete control of all molding functions. Servos only require energy when they move compared to hydraulic systems which require continuous power. Reduces energy consumption by up to 60%. Energy efficient and suitable for clean room applications.